Hier in tapSW (Theorie und Praxis der Software) sprechen wir Deutsch. Bitte kontaktieren Sie unser Büro unter +442036097828 und fragen nach einen deutschsprachigen Softwareentwickler. Hapa tapSW tuna ufasaha kwenye lugha ya kiswahili. Tafadhali wasiliana na ofisi yetu katika +442036097828 uzungumze na developer kwa Kiswahili. Εδώ στην tapSW (μετάφραση: θεωρία και πρακτική του λογισμικού) ομιλούμε ελληνικά. Παρακαλώ απευθυνθείτε στο +442036097828 και ζητήστε έναν ελληνόφωνo προγραμματιστή να σας εξυπηρετήσει. IT consultation with proven practice, IT development with sound theory. We know software. We know your business. We deliver software solutions that drive results. There are many attributes that contribute to the quality of a software product. In particular, software has to be reliable, efficient, maintainable and most importantly, it has to be secure. Here at tapSW, we apply latest technologies to ensure that our software consultants design and deliver quality software products to our customers. Software shouldn't cost a fortune when developed by qualified and experienced developers. 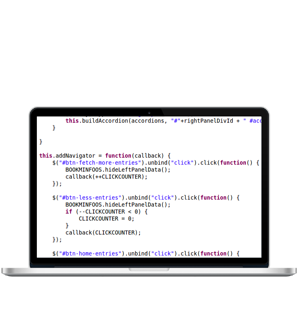 Our experienced developers will analyse your requirements, design the product and implement the design using tested coding methods. Here at tapSW, we have a fixed price policy to assure you that there are no surprises from start to finish. Hourly rates start at £150. Weekly rates at £2500 and monthly rates at £10000. Prices shown exclude VAT. We believe that our most valuable resource is our team of PhD-level computer science graduates who are passionate about technology. Owing to investment into cutting-edge technologies, our software team is on top of developing software using the latest emerging technologies. See some of our projects . For every software that we build, we offer support and maintenance along it. 100% of our customers are happy with our support and maintenance. We aim to maintain our 100% level satisfaction to our customers–and–you. 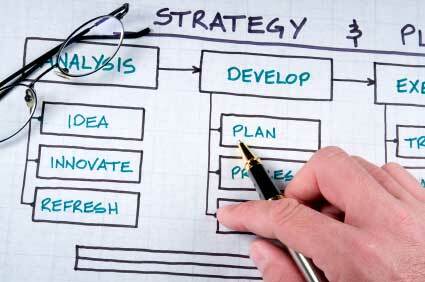 We'll gather your requirements and develop your software product using the latest technologies. We provide support and maintenance for all software that we build. Some systems require a formal specification before implementation. For these systems we draw formal specifications using mathematical tools and techniques. These specifications form the basis of your software implementation. Our current product, bookingDialog, is a robust booking system integrated with an resource allocation system and a messaging system. We have a dedicated team that develops bespoke booking systems for businesses. 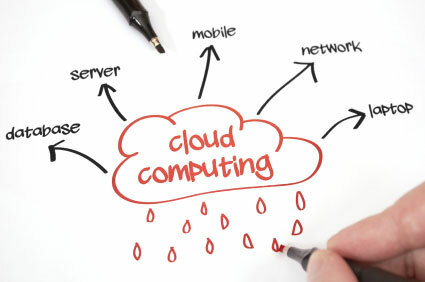 Most software now lives in the cloud. It is likely that your next software solution will be web-based. Our team of web developers are keen to work on any web based project, from simple websites to full content management systems, customer relationship management, enterprise resource planners. 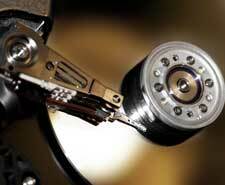 Our goal is to provide you with quality software at reasonable prices. Our experienced PhD level project managers are at the fore front of technology and they are ready to complete your project in the shortest possible time. We will give you an estimated time frame for your project once we have analysed your requirements. We meet deadlines 99% of the time. We also offer fixed rates for some projects. Our hourly rate is from £150 per hour. This pricing model is most suitable for our services such as consultation, system configuration, technical training, or call out fees. Our weekly rate is from £2,500 per week. Minimum project time is one week. This pricing model is most suitable for our services such as system maintenance, retainers, or small software development projects. Our monthly rate is from £10,000 per month. This pricing model is most suitable for projects that are estimated to take longer than one month. Please contact us for a time/cost estimate of your project. Hassan has several years of academic and industrial experience in Software Engineering. In 2009, Hassan received his PhD from the University of Sussex, working on programming language design and compiler implementation for a visual programming language. At tapSW Hassan is involved in all stages of the project life cycle with the primary focus on business systems analysis and design. Nik received his PhD from King's College London (KCL), University of London; his MSc (Advanced Software Engineering) from KCL and a first class (hons) BSc degree in Computer Sciences from the University Portsmouth. His doctorate work is on the theory of program analysis and virtual machine operational semantics. At tapSW Nik is focusing on the training and the code side of things. The directors met back in 2004 during a Master's degree class whose lecturer became their Master's project supervisor and later their doctorate supervisor. Both were programming enthusiasts and from early on they made a perfect programming duo. In 2004 they took on their first project, an ASP.NET programming task for a vehicle dealership. During the doctorate years, they worked on dual problems. Both worked on the mechanical evaluation of programs; Hassan worked on how to efficiently reduce a graph to compute an answer and Nik on how to compute an answer without reducing the graph. This was work on compiler technology and program analysis, which gave them immense insights for large software systems. While still postgrads, they happily took on contracts for smaller projects as well as for complex ones, such as a calender scheduling algorithm for a recruitment company. This was built on top of the Zope/Plone framework. Their insight and love for extant technologies and also their desire to contribute to new technologies set the founding stone of tapSW. After six years of collaboration, the tapSW founders realised that they were a company even before they knew it. In October 2010, they officially announced the company and are now celebrating a 10 year anniversary of corporation and mutual understanding. Quality and Value. We strive for good cost estimation and high quality deliverables. That is why we are recommended by our customers. We don't stretch timetables to maximise our profit. Quite the oposite: if we find a way to drive costs down, we'll do it. Full attention. Once we agree on the job, you will get our full attention. No matter if it is a big or a small project. Simple language. We keep you informed at every stage of the project. Whether you are in a technical or a managerial position. We are agile. We work with ticketing systems to keep track of problems and use continuous integration techniques for fast redeployment. Development is carried out by local developers which you'll meet face to face and you'll have the opportunity to monitor their progress first hand. Elasticsearch is an emerging data-search technology which we use to dig through data and connect dots in novel ways indeed. In this case study, we connect millions of UK postcodes to hundred thousands road names and implement a quasi street level postcode search by using only open data published by ordnance survey and the Royal Mail. 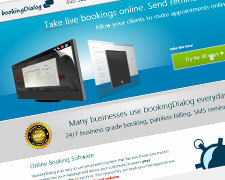 BookingDialog is a web 2.0 SaaS project, which is under constant maintenance. The program allows SME's to have a fully fledged appointment-reminder-invoice system embedded into their own website. The project exhibits a variety of engineering challenges: Higher order multiuser (each client has many users) and multi domain (works for different business domains) platform with internal security implementation, SMSnotification system, REST API and multi tier J2EE back-end deployed on Oracle clusters. We will contact you as soon as possible. Please reload the page if you want to send a message again.